Every once in a while, our creative juices start flowing in the right direction and we might be able to come up with something interesting. We hope that’s the case for our newest unboxing video – which is devoted to the SanDisk Cruzer Fit 8GB USB Stick (about PHP 580). 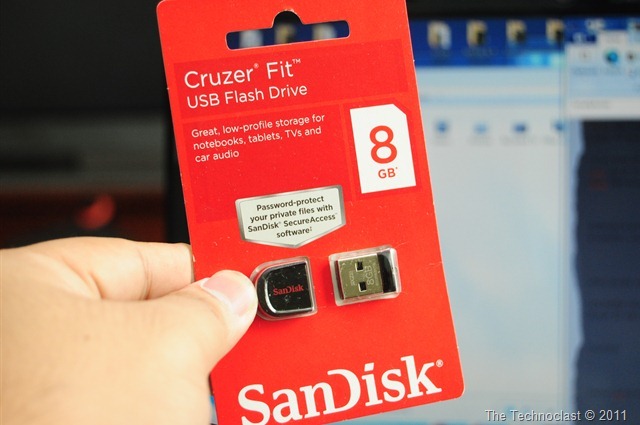 While we’ve all seen our share of USB sticks (and variants) in our day, there’s always something to be said for a useful, secure, and dependable SanDisk storage device. But beyond that though, we’ve worked a little extra harder to make this unboxing video interesting. Have a peep after the jump to check it out! Well how about it – did you enjoy our little movie? If you did, then awesome. If you didn’t, that’s too bad. But we sure hope you stick around and watch more / read more from us. Thanks for watching!